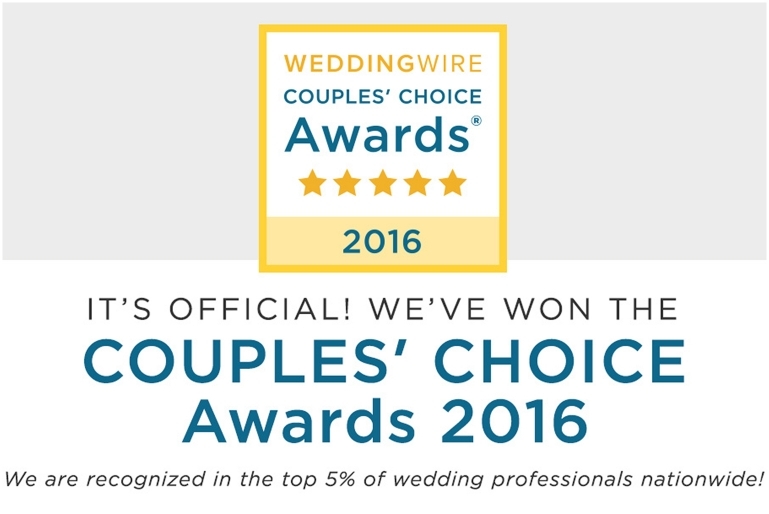 I am beyond humbled to receive the Couples’ Choice Award from Wedding Wire! The best part of my job is meeting so many great couples and having the opportunity to work with them over the course of an entire year sometimes. The fact that so many would leave 5-star reviews leaves me feeling so happy and overjoyed. 2015 was an amazing year for me and my business, but none of it would have happened had it not been for the people I had the please of working with. What a great way to being 2016! Thank you, thank you, thank you for making me your choice for wedding photography and allowing me to receive this wonderful award!